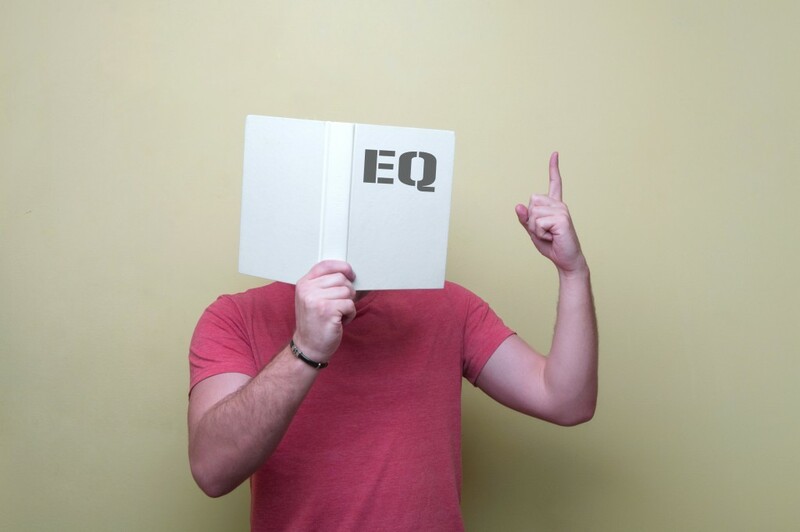 This study looks at and compares emotional intelligence (EI) in those with not only alcohol and drug use disorders but also in relation to possible differences between these substance use groups and between genders. Again it points to differences in male and females and between alcohol use and drug use disorders in relation to specific factors inherent in Emotional Intelligence. This follows on from our recent blog suggesting slight differences in the use of ego defense mechanisms (to maladaptively regulate emotion) between those with alcohol use and those with drug use disorders, and often between genders. This points to issues of heterogeneity in addictive behaviours, addicted individuals have general similarities but often specific differences. For example and generally one factor here, that of Impulse Control, always appears to common to all addictive behaviour and is again in this study but other specific factors inherent in emotional intelligence can vary between different substance use disorders and between genders within these groups and also when the groups are compared. Either way, it still points to a need to individualize treatment plans so that we can evaluate exactly what areas of emotion intelligence and regulation need to be developed in treatment programs and therapeutic action plans. There may even be differences within gender groups, i.e. certain females may have difference levels of EI in their own gender groups. These can often be affected by different life experiences too. So ultimately we suggest that EI training is specific to a clients “specifics” and what is clear from evaluating their personal and unique levels of EI. Introduction: Previous research has revealed that differences in Emotional Intelligence (EI) competency existed related to gender and substance use disorders (SUD). Moreover, SUD patients had a high correlation between EI and drug/alcohol use. The first to have published the definition of Emotional Intelligence (EI) and substantiated its purpose were Salovey and Mayer (1) . Later, Goleman (2) wrote that EI encompasses self-confidence and impulse control, perseverance, diligence and motivation, empathy and social skills…. little research has been done addressing EI for substance use disorders (SUD) patients…A high correlation was found between EI and drug/alcohol use (13,14,15,16.) During a review of relevant literature Kun, Demetrovics (17) found that two EI elements (the regulating/decoding of emotions and the differentiation of emotions) played a meaningful role in SUD cases. For men, low EI indicators had a correlation to their inability to perceive and use emotions, to comprehend, contemplate and experience events with negative results and consequences leading to alcohol and drug abuse and deviant behavior (14,18). Moreover, drug addiction lead to problems not only in the physical health but also in the mental health of patients creating even greater problems for them in both society and relationships. Research has shown21 that drug addicts especially opiate addicts, have certain dissatisfaction with life, which could then influence the EI overall General Mood factor indicators. There is also other research (22,23), which emphasized that alcoholics have a lesser ability to decode their emotions than opiate addicts do. Individuals that were opiate addicts exclusively (without alcohol problems) had a noticeably greater ability to define their emotions than those with alcohol problems exclusively and than those who had both alcohol and opiate addiction problems. One of the negative consequences of alcoholism, which could significantly influence EI indicators, was brain atrophy. This condition manifested itself sooner in women than in men (24,25,26) and an earlier onset of cognitive deficits in female alcoholics when compared to male alcoholics (27,28). Data suggests that aggression was more easily provoked in substance dependent females by the chronic use of alcohol and drugs than in males (31). This could lead to lower EI indicators on the Impulse Control and Problem Solving scale. 1) Are there differences in EI indicators between alcoholics and drug addicts? 2) Are there differences in EI indicators between addict men and addict women? 3) Are there differences in EI indicators between male alcoholics and male drug addicts? 4) Are there differences in EI indicators between female alcoholics and female drug addicts? one can see that the SUD patient EI indicators had a tendency to be significantly higher. This leads one to believe that SUD patients had difficulty being critical to themselves, to SUD and its consequences as well as in relationships with others in their lives. The research results show that the Emotional Intelligence factor and scale mean indicators were statistically significant and higher for alcoholics than for drug addicts. This was true regardless of gender in scales and factors indicators – Self-actualization, Empathy, Social Responsibility, Problem Solving (only for female alcoholics on this scale), Impulse Control scales and in the Interpersonal and Adaptability factors. This concurs with scientific literature findings concerning drug addict difficulties from an emotional and social aspect (41,42,43.) From a psycho-dynamic point of view this could point to the drug addict’s possible difficulty in understanding their own personality. This in turn, could cause a chronic internal feeling of emptiness and inadequacy and mitigate their ability to perceive reality, which has come about due to deficient personality development in which parent deprivation, traumatic experiences and self-destructive tendencies are prevalent (44,45). Even so, many studies have shown that emotional abilities, social skills and relationships for alcoholics were hindered. The Social Responsibility scale results show that alcoholics had a higher degree of social responsibility than drug addicts did. This related to other studies concerning the low employability rate of drug addicts (46,47,48) the problems in rearing children when these relationships were usurped in favor of substance abuse (49,50,51,52,53), violence at home, and criminal activities (53,54,55). Nonetheless, the high results for alcoholics on the Social Responsibility scale could indicate their insufficient ability to critically evaluate their SUD and its consequences and influence on different yet important areas of personal life; this is because SUD greatly reduces the level of social responsibility (56,57). Therefore, it was surprising to see the high indicators and statistically significant differences on the Empathy scale. These results evoke several questions – Did men already possess lower interpersonal ability prior to their addiction? Did the development of addiction create interpersonal ability loss or reduction? Did abstaining from alcohol/drugs influence interpersonal ability improvement?.. There are notable differences between the genders on the EI factors featured scales – on the Empathy and Social Responsibility scales. This is related to the Stein, Book6 and Bar-On3 studies. Men had a lower degree of empathy ability when compared to women (69,70), therefore, also a reduced ability to perceive the emotions of others and to express their own anxiety and understanding. In this study, the participants did not have differences between the genders on the Impulse Control scale. However, differences between genders were statistically significant on the Social Responsibility scale. Social responsibility means as a person is able to prove cooperating together as a capable, constructive member of a social group, who supports the accepted social rules and works for the good of the group (3). SUD intrinsically affects the degree of social responsibility in a negative way. Even so, female alcoholics seemed to have a greater degree of social responsibility than addict men did (71,72). Still, the high results on the Social Responsibility scale could point to an insufficient ability of patients to critically evaluate SUD and its consequences as well as its influence on important areas in personal life. 1. Differences were found between alcoholics and drug addicts in two EI factors (Interpersonal and Adaptability) and on five scales (Self-actualization, Empathy, Social Responsibility, Problem Solving, Impulse Control scales). 2. There were differences between genders in the Interpersonal factor and on the Empathy, Social Responsibility scales. 3. Differences existed for male alcoholics and drug addicts in the Interpersonal and Adaptability factors and on four scales (Self-actualization, Empathy, Social Responsibility and Problem Solving). There were no differences on the Impulse Control scale. 4. Differences were found between female alcoholics and drug addicts on one EI scale (Problem Solving). 5. It could be seen that for addict patients their EI indicators had a tendency for significantly higher indicators, which leads one to believe of the drug addict patient hardship in being critical of oneself, to SUD and to others in their lives. 6. It is essential to continue this research by repeat testing of the participants six months after treatment, enlarging the research group, comparing data with control group data, which could lead to improving the validity of this research. Sudraba, V., Rancans, E., & Millere, I. (2012). The emotional intelligence features of substance use disorders patients: pilot research results.International Journal of Collaborative Research on Internal Medicine & Public Health, 4(5), 485-501.